Dual axle chair can convert to hemi height. 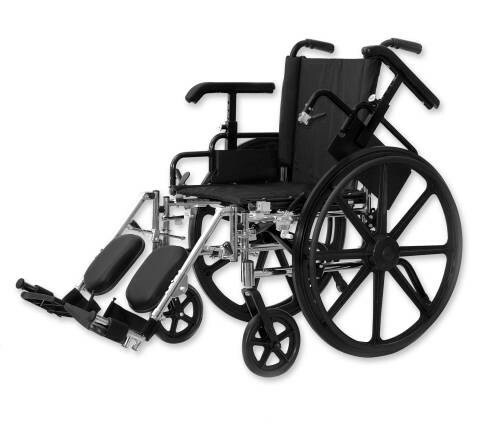 Features heavy-duty composite side panels, composite footplates with heel loops composite handrims, flip-back arms and heavy duty brakes. 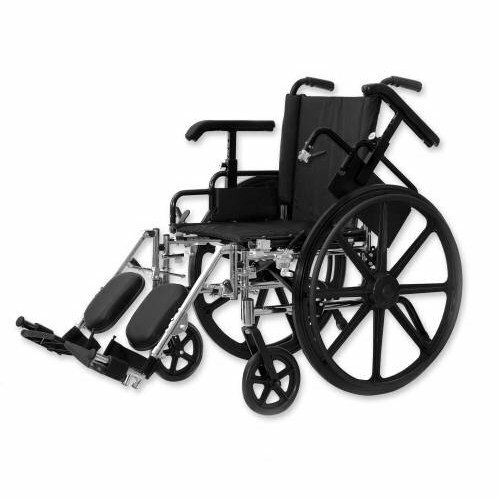 Product weight 53-55 lbs with front riggings; weight capacity 300 lbs. Anti-tip device included. Black nylon upholstery.